Kurt Zadek Lewin was a German-American psychologist who is recognized as the father of modern social psychology. Born to a Jewish family in Prussia in 1890, Kurt studied medicine from University of Freiburg and later biology from University of Munich. He enlisted in the German army during the World War I, obtaining an iron cross for his services. He completed his Ph.D. from the University of Berlin. In 1921, he was appointed as a lecturer at the Psychological Institute of the University of Berlin. Lewin attended the International Congress of Psychologist at Yale in 1929 where he presented his work on barriers and field forces. Edwin Boring, Director of Psychological Laboratory at Harvard at that time was so impressed that he recommended Kurt for the post of visiting professor at Stanford. Kurt was one of the many Jewish psychologists who were persecuted by the Nazis and he immigrated to the United States becoming its naturalized citizen in 1940. Kurt Lewin took a different approach to the nature versus nurture debate. He proposed that nature and nurture both interacted to determine the personality of each person. He came up with the Lewin’s equation for behavior B=f(P, E), which is a heuristic formula rather than a quantifiable value, showing that the behavior is a function of the person and his or her environment. Kurt also worked on Force field analysis, which provides an outline for studying the factors that influence a situation, either driving towards a goal or hindering it. In United States, Lewin started working at Cornell University and Iowa Child Welfare Research Station at University of Iowa. He also became the director of the Center for Group Dynamics at MIT. He conducted trainings to combat racial and religious prejudices, known as the “Change Experiment” or the “Sensitivity Training” which led to the founding of the National Training Laboratories. Lewin developed a model for change which consisted of three stages. The first stage dubbed as the “unfreezing” involved overcoming the momentum and shifting the mindset. The second phase consisted of the actual change which was a period of transition and confusion. The third phase was the “freezing” where people adjust to the change and their confidence in the new system starts to rise. Kurt Lewin also conducted a study to understand the different organizational management styles. He defined the types of leadership as authoritarian, democratic or laissez-faire. Groups of school children were assigned to each leadership style. As predicted, the more rigid and authoritarian the structure, the less innovative and creative the decision making is likely to be. Lewin was the one who came up with the term “group dynamics”. He proposed “the whole is greater than the sum of its parts”. He applied his interactionism formula B=f(P,E) and stated that the behavior of the group was determined by the member’s individual personal traits (P) and the environmental factors of the group (E). 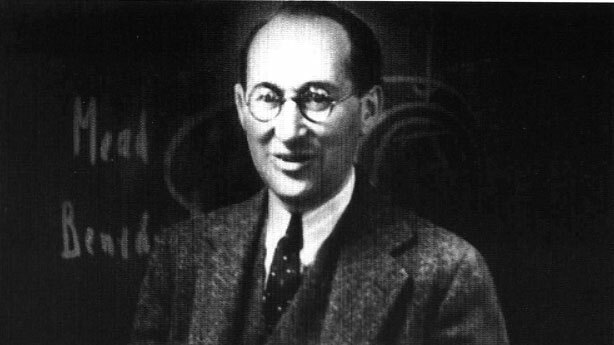 Kurt Lewin died of heart attack at the age of 57. His sensitivity training was considered by many as “perhaps the most significant social invention of this century”. He served as a mentor for many prominent psychologists of the twentieth century.
" Kurt Lewin," FamousPsychologists.org, https://www.famouspsychologists.org/kurt-lewin/ (accessed April 25, 2019). Kurt Lewin [Internet]. FamousPsychologists.org; 2014 [cited 2019 April 25]. Available from: https://www.famouspsychologists.org/kurt-lewin/. Kurt Lewin, https://www.famouspsychologists.org/kurt-lewin/ (last visited April 25, 2019).